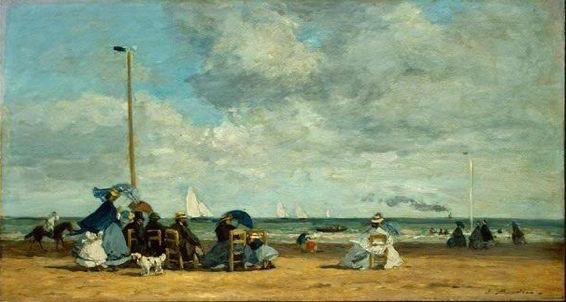 When I think of Eugene Boudin (1824-98) it’s usually in connection with his lively and elegant scenes of vacationers on the coast. These pieces are remarkable for their inventive groupings of costumes and furniture running tightly along the band of the sea, pressed between a glorious sky and a vacant foreground, with near and far artfully stitched together by those crafty flagpoles. 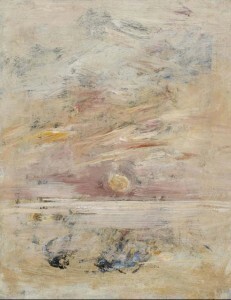 Indeed, the Boudin stands up very well to Claude Monet’s earlier take on a very similar subject. 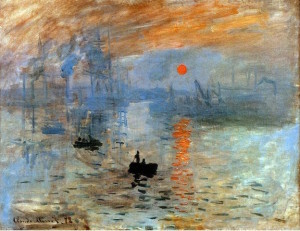 Monet gets the fame, because his title, “Impression, sunrise” was what gave the Impressionists their name. 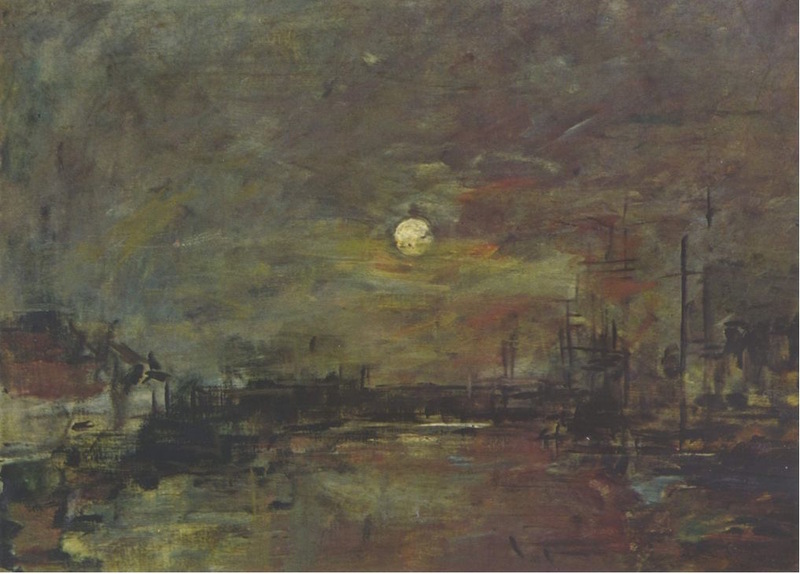 But for daring near-abstraction it’s hard to beat Boudin.